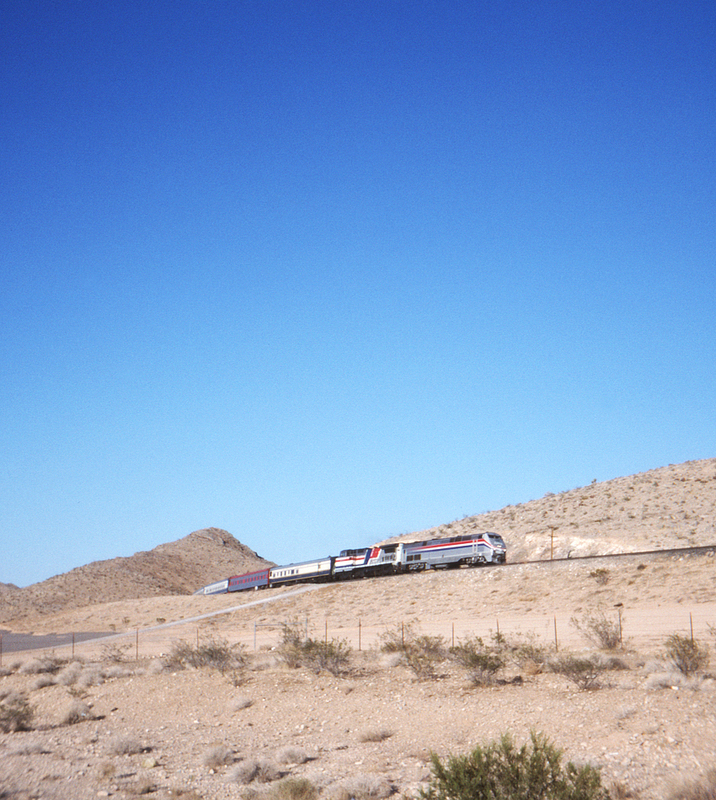 North of Las Vegas, Nevada, at a location known as Garnet, a southbound American Orient Express emerges through a rock cut. The AOE used Amtrak employees and power; here one of Amtrak's relatively new Genesis locomotives (introduced in 1992) leads the consist. The American Orient Express was a luxury train available for charter services which roamed over North America between 1989 and 2008.